NG:DEV.TEAM annonce l'ouverture des précommandes pour son prochain jeu pour Neo-Geo MVS: Kraut Buster. 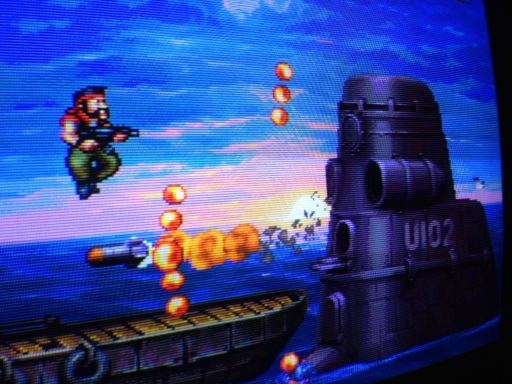 Il s'agit d'un run n' gun dans le style de Metal Slug. 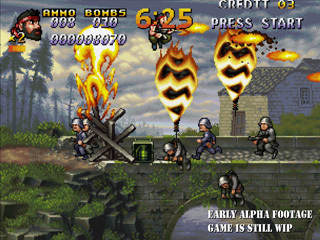 L'histoire se passe en Europe en 1936, John "Küken" Mallone et Jack "Handsome" Rowdy font partie des Kraut Buster corps, leur mission: vaincre le dictateur Dolph Edelwolf et sauver toutes les filles au passage. Kraut Buster est le premier jeu NG:DEV.TEAM pouvant se jouer à 2 joueurs en simultané. Le mode 2 joueurs est intégré au moteur du jeu et sera réutilisé à l'avenir pour d'autres titres, rien ne pouvait nous faire plus plaisir! C'est ce qu'il manquait le plus aux productions du développeur allemand. Le jeu proposera 3 parcours de difficulté différentes, traverser le jeu en difficulté normale prendra en moyenne 35 minutes au cours des quelles les joueurs affronteront 5 ou 6 boss et sous-boss. Techniquement, le jeu tournera en 60fps et occupera environ 784MBits. Les différents niveaux seront assez longs et offriront des décors panoramiques variés avec scrolling parallax. Comme la plupart des jeux de l'éditeur, le système de scoring favorisera les chaînes. Le projet occupe 2 graphistes à plein temps plus un graphiste indépendant, un programmeur/designer et un musicien; l'excellent Rafael Dyll. Une vidéo de la version alpha a été publiée sur Youtube, le moins que l'on puisse dire, c'est que ça ressemble très fort à Metal Slug (y compris le côté sanglant). Mais le jeu sortant cet hiver, il reste plein de temps pour peaufiner le produit. 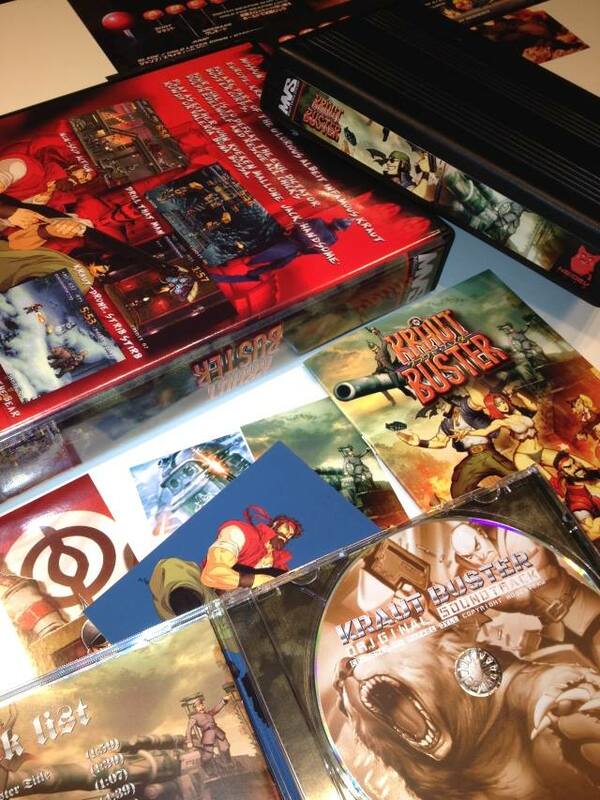 La cartouche de Kraut Buster est actuellement disponible en précommande en deux éditions: l'édition gamecenter standard dans sa boite en carton à 399€ et une édition limitée à 99 exemplaires fournie dans une shockbox avec un CD de la bande originale, 2 posters, une carte postale et un set d'autocollants en bonus. Cette édition deluxe coûte 449€. Un spin-off de Kraut Buster utilisant les mêmes personnages mais se jouant en vue du dessus sortira plus tard. All MVS versions are limited to one print run. 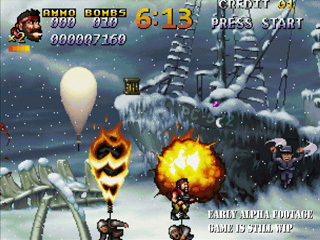 The game will be licensed in 2016 to another arcade platform for Japan/Asia. 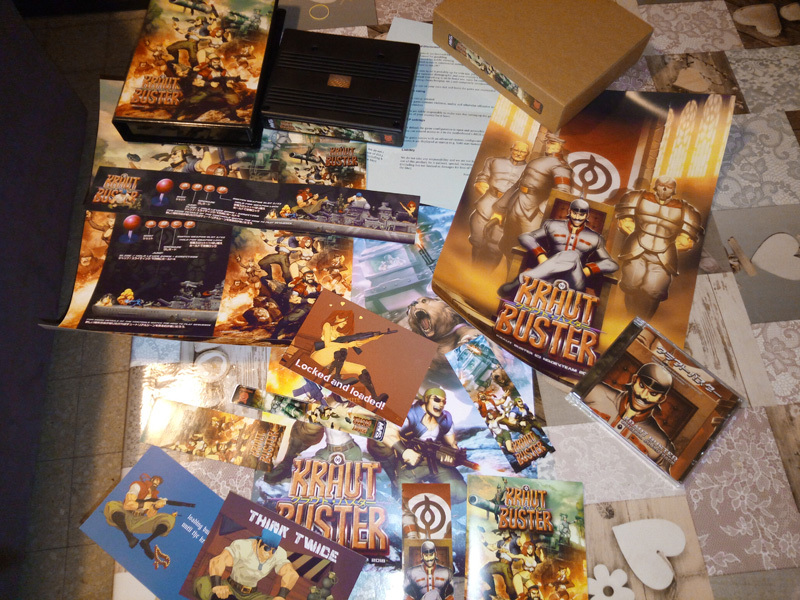 NG:DEV.TEAM vient d'annoncer que toutes les éditions MVS de Kraut Buster seraient limitées à un seul "pressage". Il n'y aura pas de réédition car le jeu sera licencié en 2016 pour une sortie sur une autre plateforme arcade pour les marchés japonais et asiatiques. 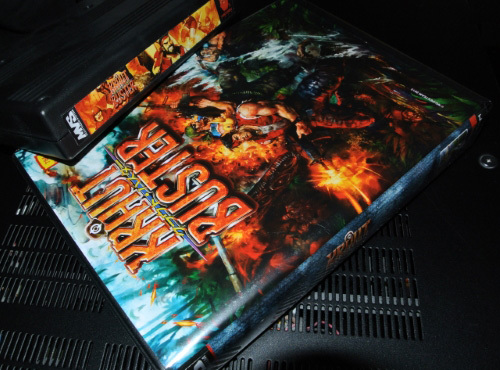 We want this game to become our masterpiece and tribute to NEOGEO and we are willing to continuing work very hard for it. If you have any feedback how we can further improve or cool ideas for mask items please don't hesitate to contact us. You can contact us anonymous too: http://www.ngdevdirect.com/contact_us.php (just use some bogus email). TL;DR: Kraut Buster will be awesome! Kraut Buster news of the day. Midboss: "Bohrmaschinen Totengraeber Mk II" a drilling machine used to build the secret weapon science base. Le midboss "Bohrmaschinen Totengraeber Mk II", un engin de forage utilisé pour construire la base secrète de recherche en armement. 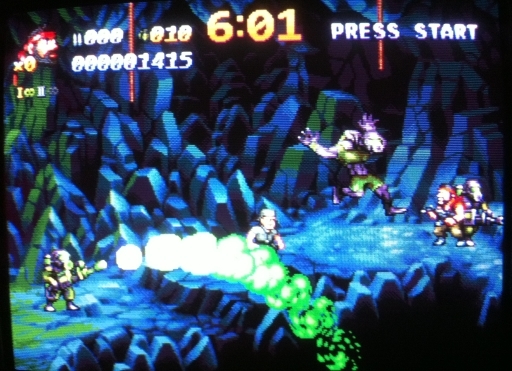 Boss: "Kleiner Siegfried" controlled by the scientist "Professor Stubenhocker". Le boss "Kleiner Siegfried" contrôlé par un scientifique, le "Professeur Stubenhocker"
Mutant enemy. Some of the acid spraying soldiers mutate when killed and become crazy fast and agile mutants. Un ennemi mutant Certains soldats projeteurs d'acide se transforment en mutants agiles super rapides lorsqu'ils sont tués. after a long wait we finally have a new video ready. Sorry for the long time. But it's the first time and maybe the last time we create a project like this. So we want to put everything in that we can. Currently Kraut Buster has no release date, but a release in the late 1st/early 2nd quarter of 2017 seems realistic. We have great news for the music, Rafael Dyll is back with a vengeance. With a dramatically increased budget and the fist time with the support of a musician who plays live in the studio his guitar and e-guitar. Having live recordings from a studio musician is a first in one of our games. The result is a fantastic rocking OST. The sound mixing of the video has priority on the music but we have tons of new SFX in the game too. Currently it has around 2x-3x the amount of SFX than Gunlord. We haven't decided on voice recordings yet, but we will do some experiments with it later this year too. As the project increased significantly in size and budget we decided to introduce some kind of mission select structure to the game. So the players can choose the length of the gaming session and the mission parts themselves. 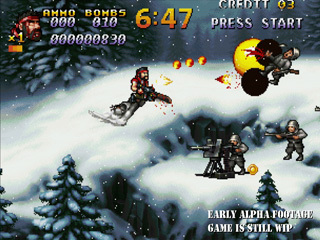 Kraut Buster can be played both as a short and sweet arcade experience or a long more console like session. It also adds more variety and replay value. 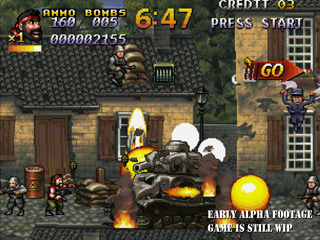 The player can also select his military rank (1-PRIVATE,2-CAPTAIN,3-COLONEL) which has a big impact on difficulty. It influences the amount of action and AI of the enemies among other things. The grunts/Zakus are always kinda stupid but they may learn a trick or two in higher difficulties. We are currently testing whether we allow difficulty selects for each sub mission (kinda like in Death Smiles) or only global. The video was captured at rank 2-CAPTAIN. The wolf mask was designed for speed runners, it increases both movement speed and weapon power. It's draw back is that it consumes ammo faster, so it requires a more careful ammo/weapon management. The video is quite long as it's purpose is to show new mission parts and general progress. More details will be added but like always in game development that will be done in the last 3 months (polishing phase). It shows parts of mission 2 (2-2/2-4) and mission 4 (4-1/4-2). The last video (#2) showed parts of 1-1, 2-1 and 2-3. For the first time we used 60 fps for the video. If your video player does not support it, there maybe some glitches with flicker transparency effects (sprites seem to disappear) or other problems. We added Kraut Buster AES (regular) back to the shop for a limited time to increase the budget further. 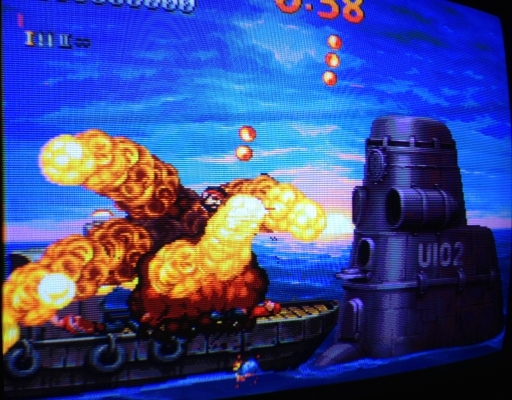 with the year ending here is the current state of Kraut Buster for NEOGEO. Compared to our original vision the game got pretty huge, basically twice as many mission parts, twice as many bosses etc. as originally planned. Without any additional financial costs to you, but at cost of waiting time. At current projections the game will break even but will not generate any profits in the first year, but that was expected from the beginning, it was always a dream project for us. Work on the final mission already started. We have the basic map done, currently it's getting finalized pixel art. The game is kinda "two games in one" both in content and game modes. It comes with two quite different feeling game modes. 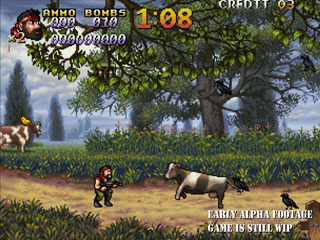 Tactically and slower game mode, similar to the classic MS series. Lots of stops with fighting bigger enemies and a more tactical approach. Due to the size of the game, we plan to offer a mission select (A or B) in this mode to keep the playtime around 30 minutes. Fast and action oriented. Only stop at mini bosses and bosses and run and crush through enemy hordes. Probably no mission select here as the increased speed/flow gets the playtime under 30 minutes. 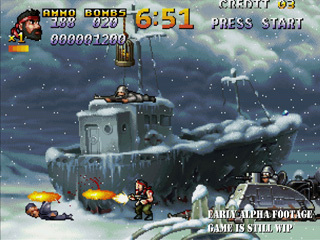 Enemy balancing and enemy placement may differ slightly to reflect the slightly different mechanics. Weapons/Powerups/Secrets/Masks will be handled differently in this mode too. 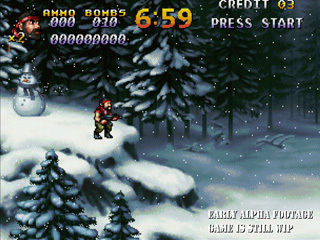 We will show the "Contra" mode in a later video in 2017. Nearly all are individually hand drawn pixel screens (not tile based, think more fighting game backgrounds). That's like 86 KoF backgrounds (of course with less animation in KB). All combined, give a huge picture of 66240x240 pixels. New screen shots from Mission 4-4 are available on the game site/the shop site and Facebook. 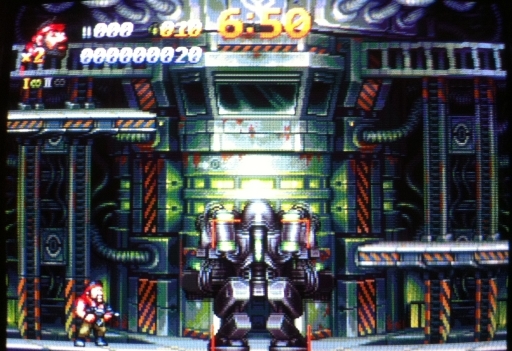 We removed the big bubble head from the HUD as it looked too "western"/unfitting for NEOGEO to us. 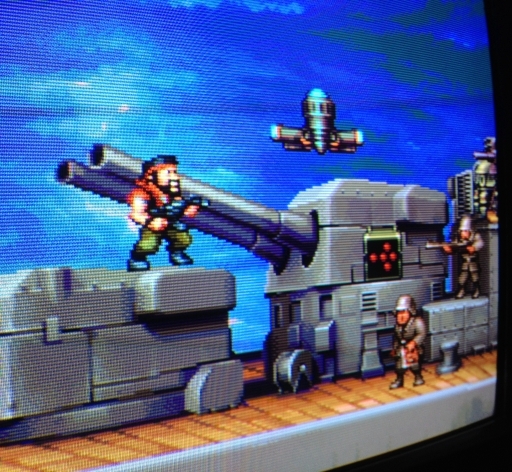 It also would have taken too much of the very small SFIX ROM space with the other characters. "Currently Kraut Buster has no release date, but a release in the late 1st/early 2nd quarter of 2017 seems realistic." Our new estimate is to start beta testing in June and start to ship in September. We originally had planned to have 3 pixel artist full time on this project, but in the end only two were available over the full course. That lead to an unexpected delay. We know that we started pre order too early for it, but without the pre orders we wouldn't have been able to made a big game like this. 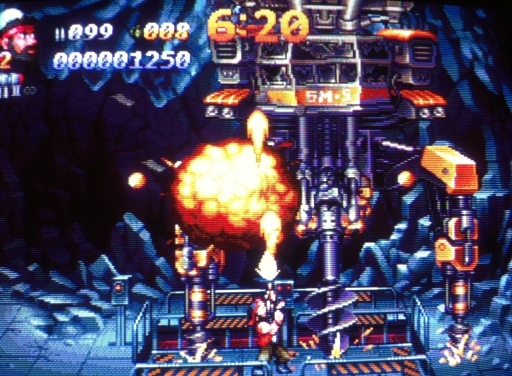 The next few games will be smaller projects again, with similar work sizes like NEO XYX (pixelart) and Razion (CGI). We will probably do a huge project in the size of Kraut Buster in the future again, but not for a few years and in a different genre. Originally it was planned and communicated in the newsletter that the MVS reprints will be produced together with Kraut Buster MVS. As sales of the reprints are getting close to our minimum factory order amount we will try to produce them earlier. For now we set April 2017. Status: PCBs are ordered from the factory. Printing of artworks / OST CD etc. starts soon. We had trouble with the PCB production. The factory is currently reworking the PCBs. Game development is 99.99% done and beta testing starts in 1-2 weeks. We will show the OST CD and printing materials/game center kit etc. in the next 4 weeks. 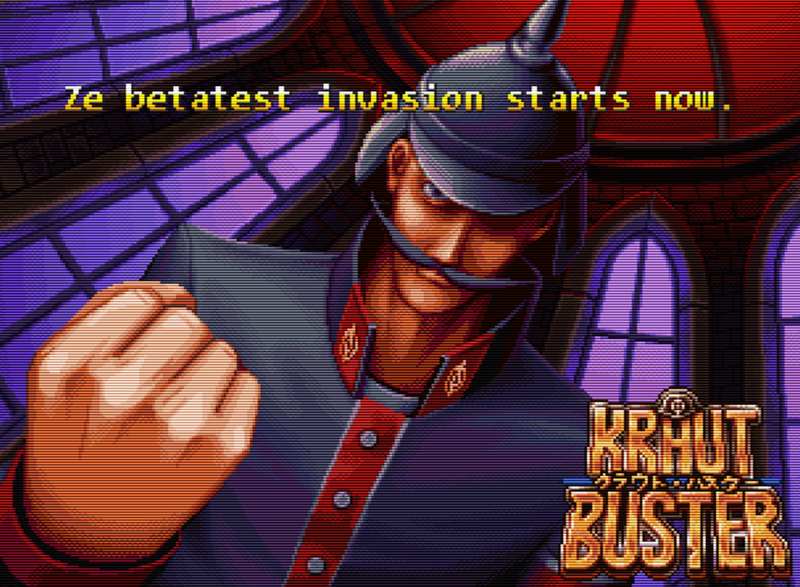 So, Kraut Buster should be released in late November 2018 on Neo-Geo MVS. 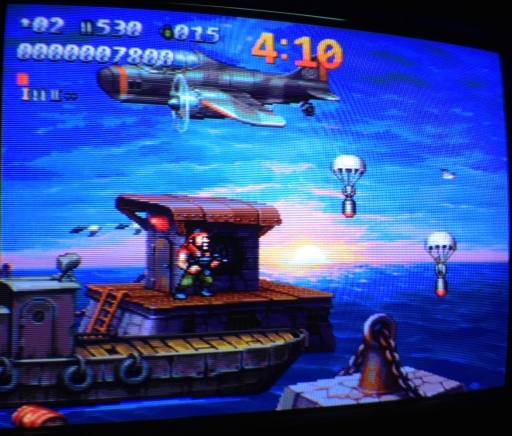 A JAMMA version is planned for the end of 2019. 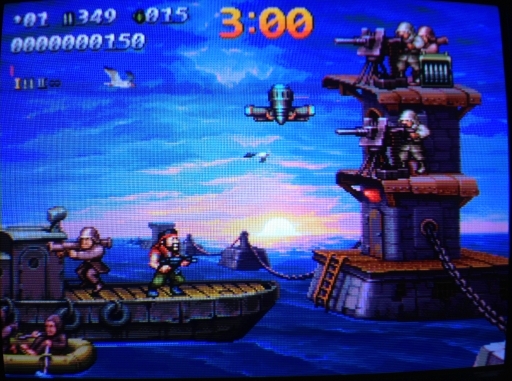 Released as a cartridge on a vastly more powerful system, this version will have no sprite flickering and no slowdown. 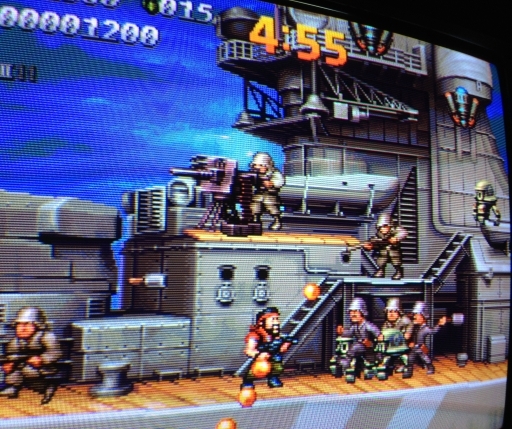 Donc, Kraut Buster devrait sortir vers la fin novembre 2018 sur Neo-Geo MVS. Une version JAMMA est prévue pour fin 2019. Il sortira sous forme de cartouche sur un hardware beaucoup plus puissant, cette version n'aura pas de clignotement des sprites ni de ralentissements. Kraut Buster enters beta test phase! While the testing is ongoing we use the time to pre produce as much as possible so we can get all MVS units shipped before the holidays. Speaking about holidays, we added some new small stuff to our shop for the holidays. A soundtrack collection and the regular edition of Last Hope for NGCD with spinecard/OBI. Only limited quantities are available. After that both are gone for good. Both items are in stock. Kraut Buster est en beta test externe. Il sortira avant les vacances de fin d'année. Kraut Buster starts shipping next week! 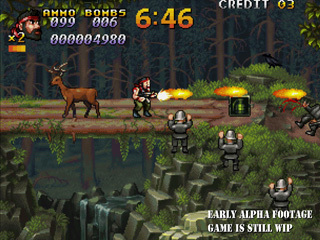 When you play the game you will see the game is quite German in design and maybe humor? Yes German humor ;-). Les livraisons de Kraut Buster commenceront la semaine prochaine. 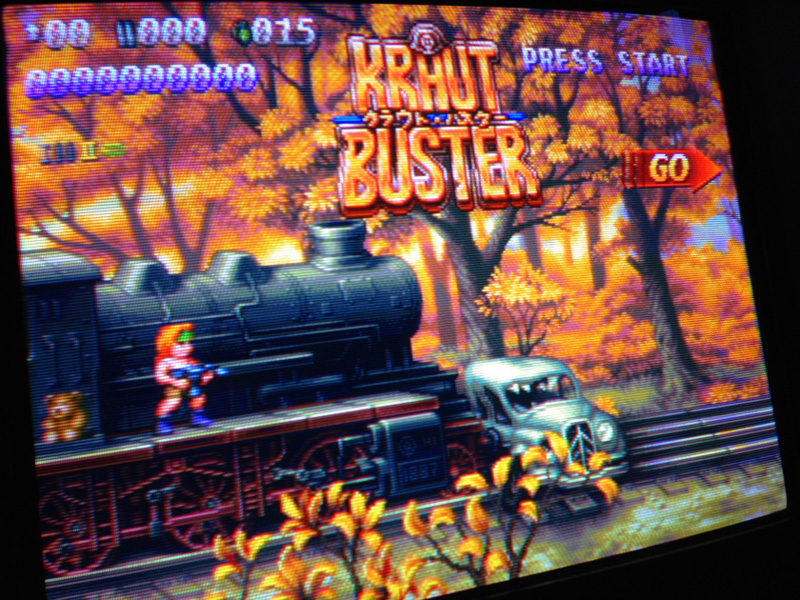 A second print of Kraut Buster MVS cartridges is underway. These cartridges will come in a new shell model. Price is €439. Game software is updated to v1.01. Une seconde production de cartouches MVS de Kraut Buster est en cours. Ces nouvelles cartouches auront une coque différente. Le prix est de 439€. Le jeu passe en version 1.01.
we made a small video that show the first couple of minutes of Kraut Buster. 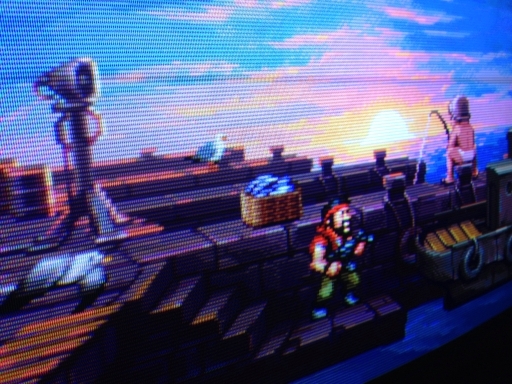 There are some videos around but we wanted to show it in higher quality and with scanlines. If you are an AES speculator/investor, don't worry all KB AES units (CE+RE+JPN+ENG) combined are still by far more rare than let's say MS5 AES english. The 1st print AES version is still scheduled for summer/autumn 2019. We need to wait for at least 2-3 more software updates. Fast Striker AES follows after that. To even out chances of getting a AES copy of the game we will throttle sales in the shop system. Only a given amount of units per day are available in the first days. If the limit is exceeded you can try the next day. After a few days we will remove any limits. If plan A works out with a molded polished finish shell. Plan B is a high quality laser cut and milled shell (made in Germany). We will provide pictures of those shells in time before shipping. 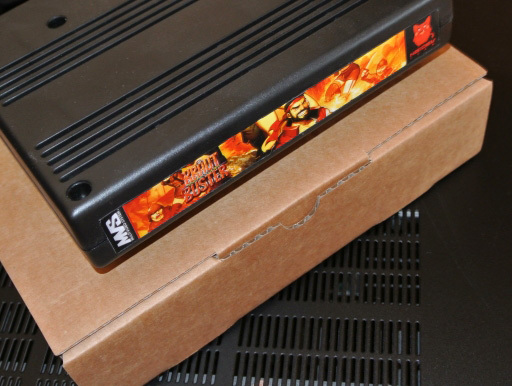 We added a new option to the shop system for a MVS cartridge only variant at a small discount. The option is at the bottom of the item's shop page. 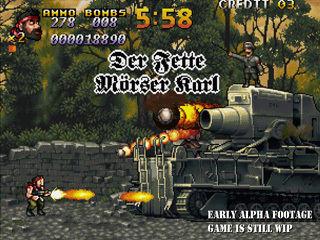 A software update v1.01 for Kraut Buster MVS is available. 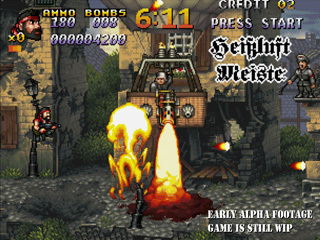 - weapon "Schrotflinte" was over powered in c-mode.